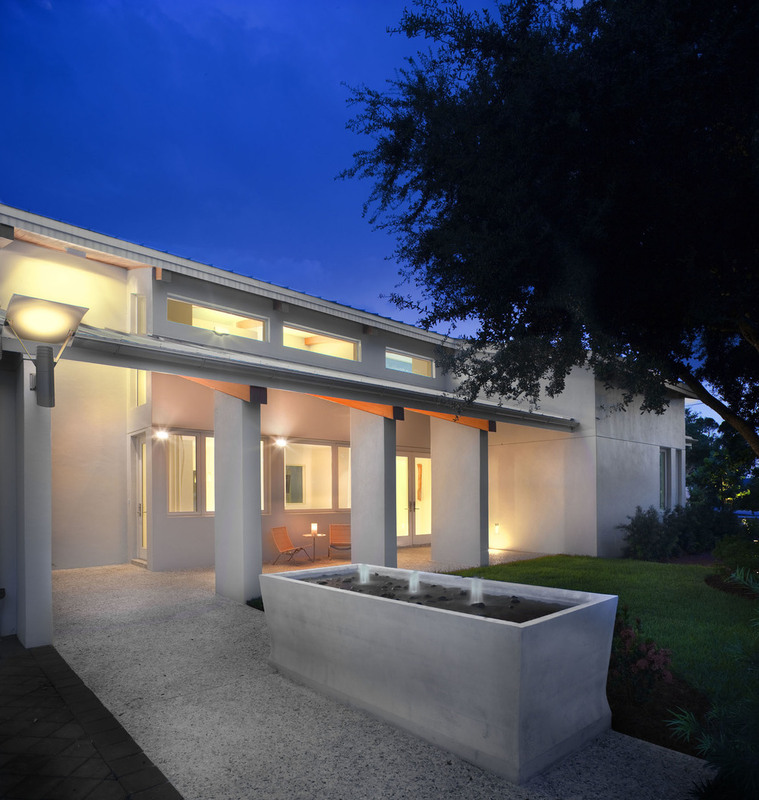 This 2,500 SF home, located blocks from the Gulf of Mexico in Venice, Florida, blends artistry of light and space with sensitivity to context. 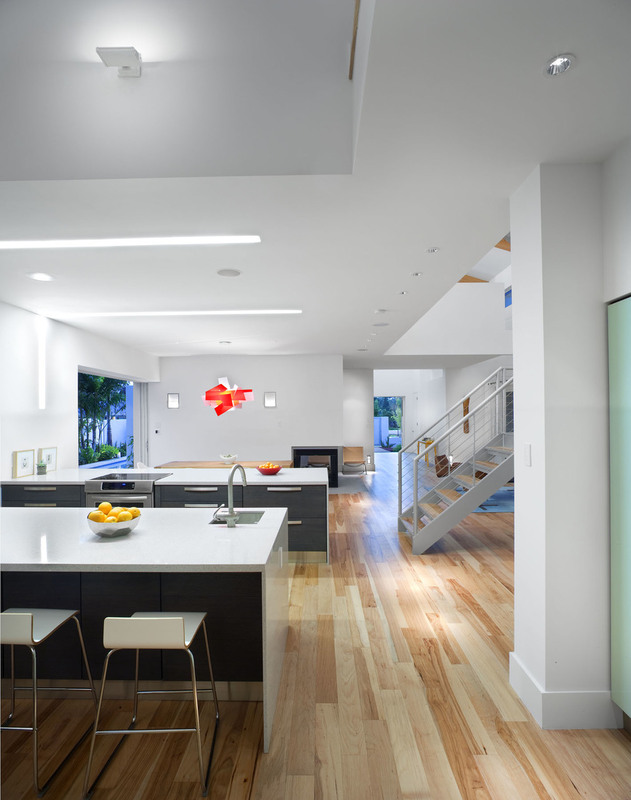 Designed to reflect the Owner’s desire for an energy-efficient, modern home that would respect a traditional neighborhood, the main challenge was to maximize the use of space on a quarter-acre lot. In order to respect the traditional regional architecture, the architect designed the home with a sloped roof for a more conventional silhouette. The origami-like layout of the floorplan uses geometric folds to reveal separate rooms that overall shape an open pattern. 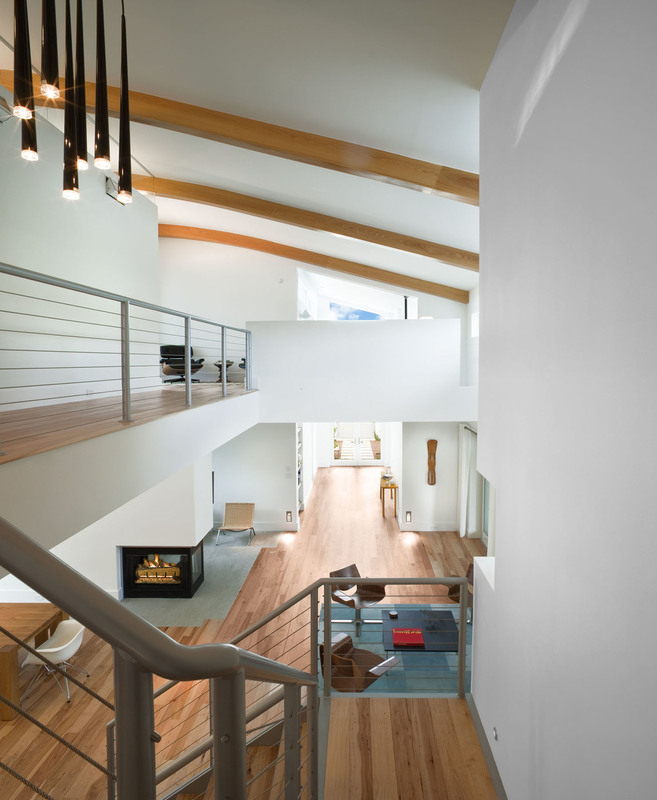 The home is elongated on the east/west axis, taking advantage of passive solar techniques while window placements purposely scoop daylight into the home, creating an infinite play of light and geometric forms. The interiors are a bold and rich arrangement of natural materials and intersecting forms. At its height, the ceiling reaches to 24 feet, furthering the sense of openness and transparency. Sustainable strategies include solar-powered energy that produces 21-26 kilowatt hours a day – which may achieve net zero energy annually, an E-wall system, low VOC wood floors certified by the Forest Stewardship Council, soy-based insulation, and Energy Star appliances. The exterior uses only Florida-native plantings and a Trex decking system of recycled plastic. The home is in the process of being certified by Florida Green Building Coalition.